I Hate My CPAP Machine! Is there an alternative treatment for snoring and sleep apnea? Is there an alternative treatment for snoring and sleep apnea? There is! 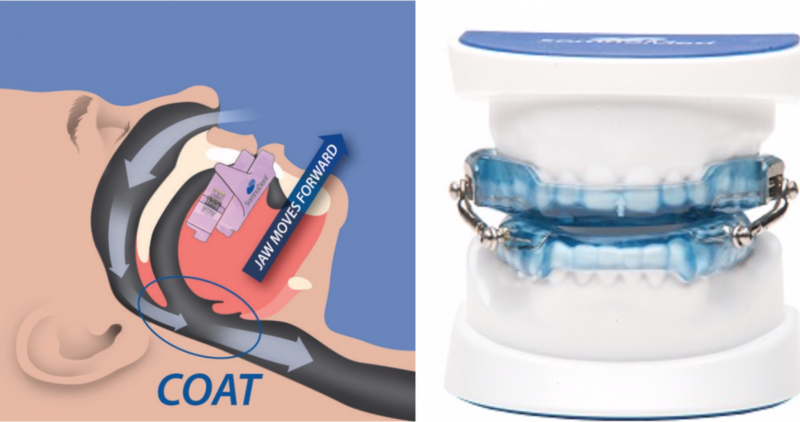 ApneaGuard Oral Appliance Therapy is the perfect non-invasive, no-mask, CPAP alternative for mild to moderate sleep apnea, or for those who cannot tolerate CPAP therapy. The ApneaGuard Oral Appliance fits over the upper and lower teeth like a night guard or retainer, and is worn during sleep. It is recommended by the American Academy of Sleep Medicine (AASM) andhas been shown to be highly effective in treating sleep apnea and snoring. In fact, 91% of patients reported improvement in their sleep quality while wearing ApneaGuard. How does Oral Appliance Therapy Work? ApneaGuard is worn during sleep to provide Continuous Open Airway Therapy (COAT) by moving the lower jaw slightly forward. This movement tightens the soft tissue and muscles of the upper airway, which prevents obstructive apneas while you sleep. Non-invasive treatment for mild to moderate sleep apnea. 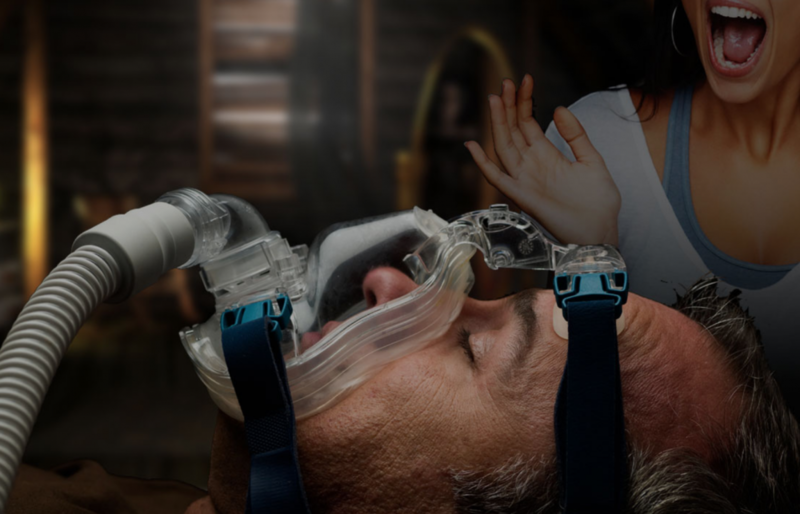 Alternative to CPAP therapy if you are not able to tolerate your CPAP therapy. Significantly improves sleep apnea symptoms including oxygen saturation and daytime sleepiness. Offers a less cumbersome and more attractive option compared to a CPAP mask. Unlike CPAP, oral appliance therapy is discreet, perfectly silent. Oral appliance therapy is the perfect CPAP alternative, often the preferred treatment with patients. Coordinated care between our board-certified sleep physicians and our on-site staff of dentists. We bill your medical insurancedirectly for your oral appliance therapy. For those with high deductibles we offer no-interest payment plans. Most dentists cannot bill their patient’s medical insurance and many people do not have dental insurance coverage, which can significantly increase the cost of an oral appliance. Treating snoring or obstructive sleep apneawith oral appliance therapy can help you feel like a new person. You will find that your symptoms, and your quality of life, can improve dramatically when you remain committed to your treatment and use it nightly. It is likely that you will sleep better, have more energy and feel sharper throughout the day. You may find that your bed partner begins to sleep better, too! 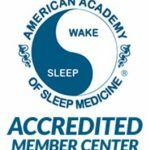 The Comprehensive Sleep Care Center (CSCC) is one of Washington, D.C. metropolitan area’s most experienced medical practices for diagnosing and treating the many causes of sleep disorders in both children and adults. Unlike many sleep clinics, our sleep medicine team is devoted entirely to treating sleep related disorders, ensuring that our doctors focus on the issues that matter most to our patients. Each of our physicians are board-certified in sleep medicine and have devoted their entire practice to the diagnosis and treatment of sleep disorders. Our sleep medicine team are experts at what they do, with extensive knowledge and experience in the very latest in sleep medicine. As an important partner in your health, our sleep medicine team works to uncover the answers you and your referring physician needs to ensure your best possible care and sleep health. Our team is committed to providing the highest level of comfort, expertise, and professionalism throughout your care.